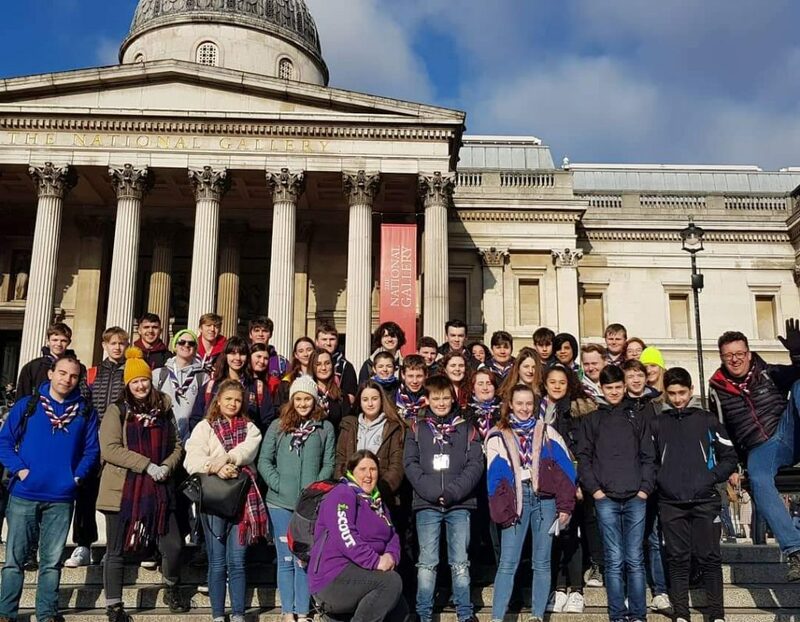 Once again, the West Sussex Wolves have been off exploring the South East with our most recent adventure in London. This was very different from any other day we have had so far as this time, we had to find our own way. 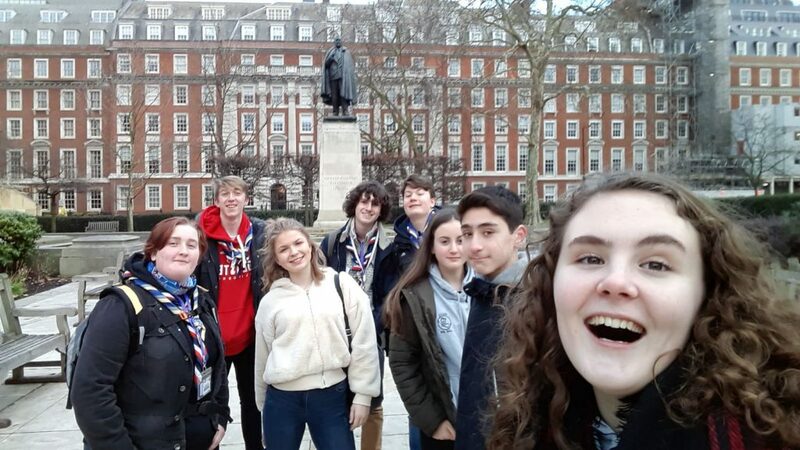 On our day in London, we did a jamboree version of the monopoly run, which involved finding buildings/statues/locations in London and taking a selfie of our whole patrol there. Probably the most challenging aspect of the day was getting everyone in the photo! 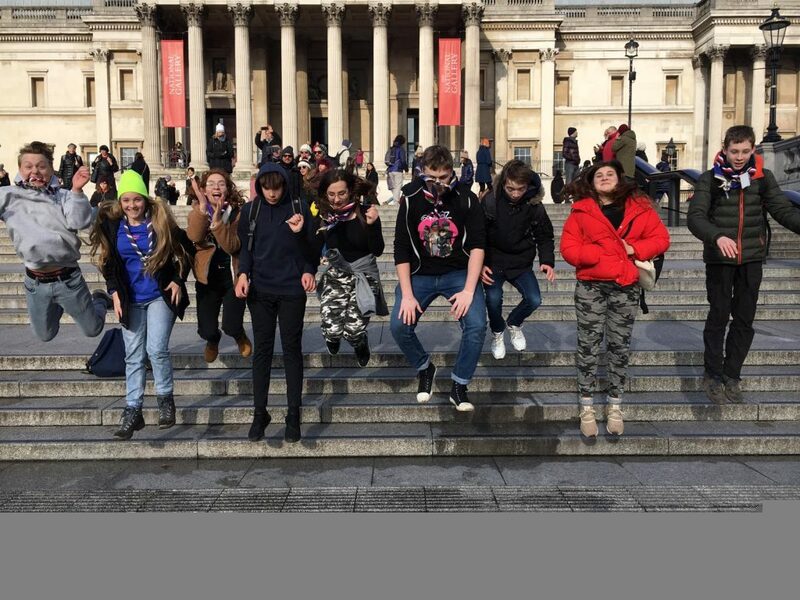 Throughout the day the leaders sent us challenges for us to do in order to gain extra points, our favourite one was probably having to do the funky chicken dance in KFC – we definitely got some funny looks! We also enjoyed finding high heeled shoes in Primark to fit Kristopher and Josh! 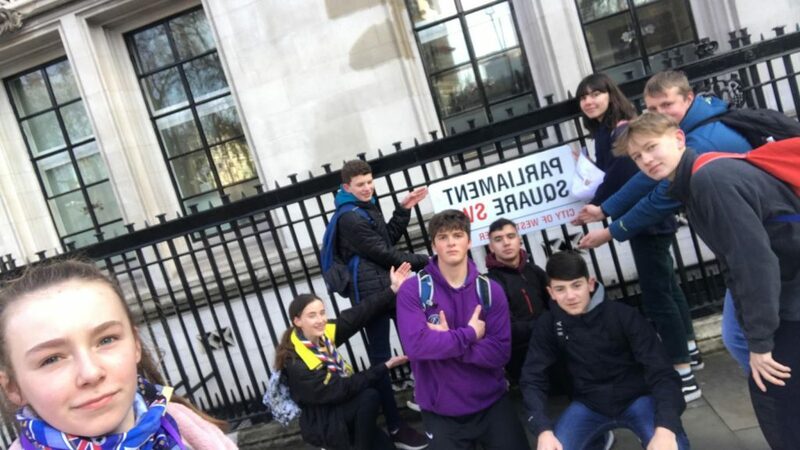 For the majority of the day our patrol (the Fire Eagles) was losing in points; however, after the final score check we had pulled ahead to third place- we were very pleased! By the end of the day, we were exhausted but had a lot of fun and had learnt how to confidently travel around a busy city. 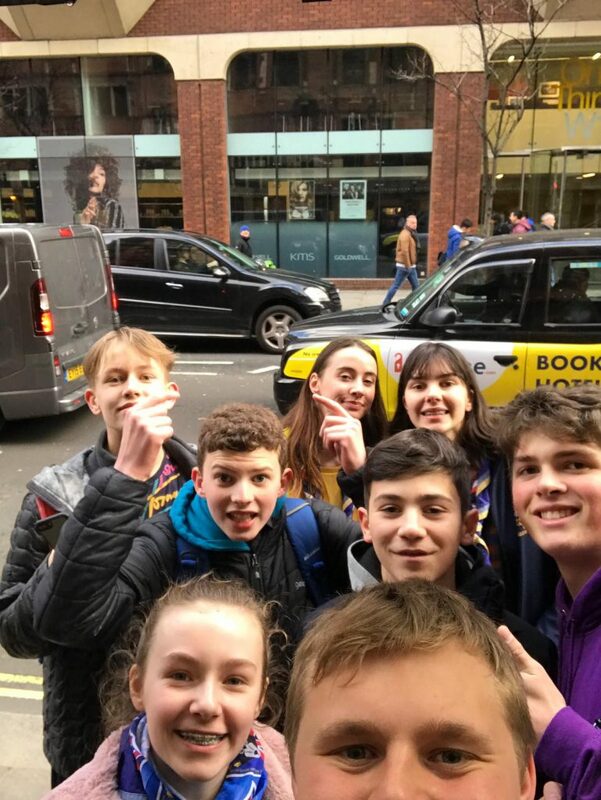 On our day in London, we did a jamboree version of the monopoly run, which involved finding buildings/statues/ locations in London and taking a selfie of our whole patrol there. Probably the most challenging aspect of the day was getting everyone in the photo! Throughout the day the leaders sent us challenges for us to do in order to gain extra points, our favourite one was probably having to do the funky chicken dance in KFC- we definitely got some funny looks! We also enjoyed finding high heeled shoes in Primark to fit Kristopher and Josh! 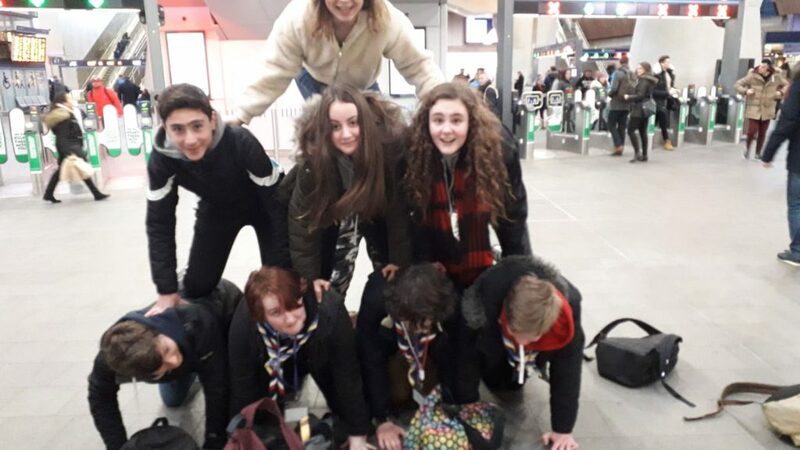 For the majority of the day our patrol (the Fire Eagles) was losing in points; however, after the final score check we had pulled ahead to third place- we were very pleased! By the end of the day, we were exhausted but had a lot of fun and had learnt how to confidently travel around a busy city. 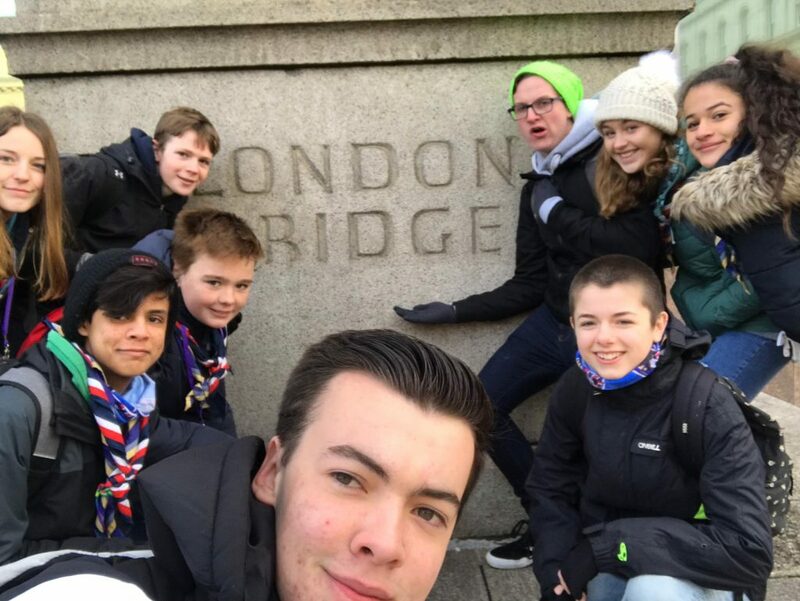 The Good Bananas began their day by leaping onto one of the many London Tubes from London Bridge – our aim, Baden-Powell’s House. 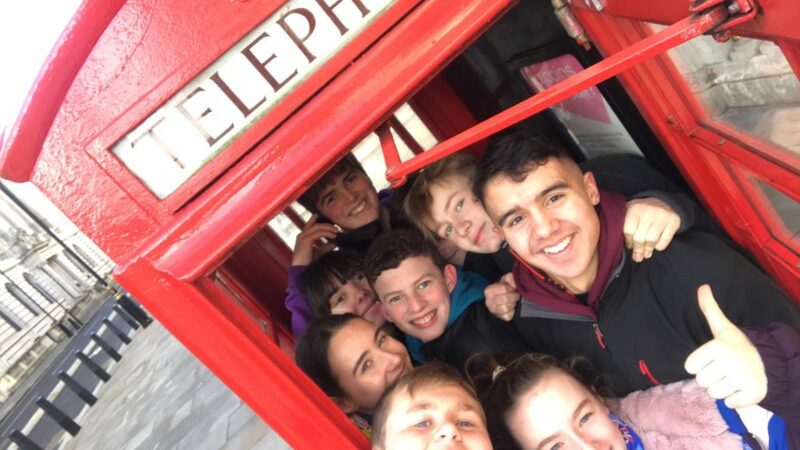 En route, the leaders sent us our first challenge of the day… which consequently resulted in everyone squished into a rather small telephone box attempting to find a suitable selfie position. That can be left to your own imaginations! From here on in, we made great leaps and bounds across the city visiting various locations found on our jamboree inspired monopoly board and wound our way up in Trafalgar Square, bang on time for lunch! After a brief pitstop and much-needed re-fuelling we set off, only to stop again and join in with one of the charming street performers we found not too far away. 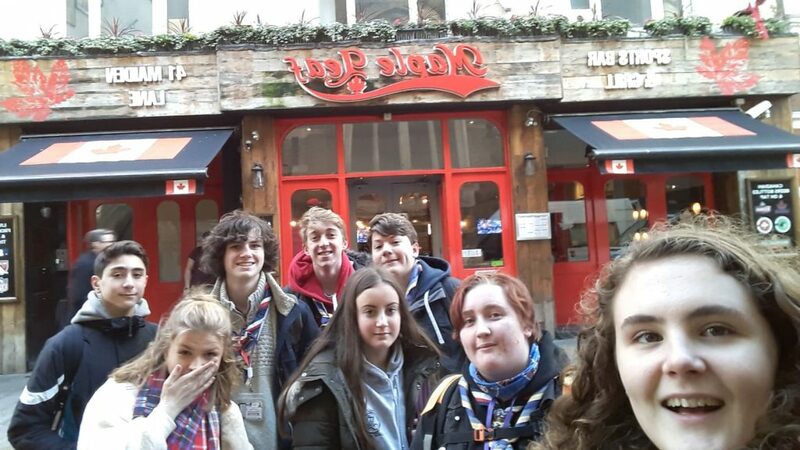 However, one of the highlights must have no doubt been the whole patrol attempting a chicken dance, in KFC, much to the delight of the innocent diners and onlookers. After a quick mad dash back to London Bridge, we ended yet another amazing day with a courteous handshake with some police officers. A thoroughly enjoyable day! 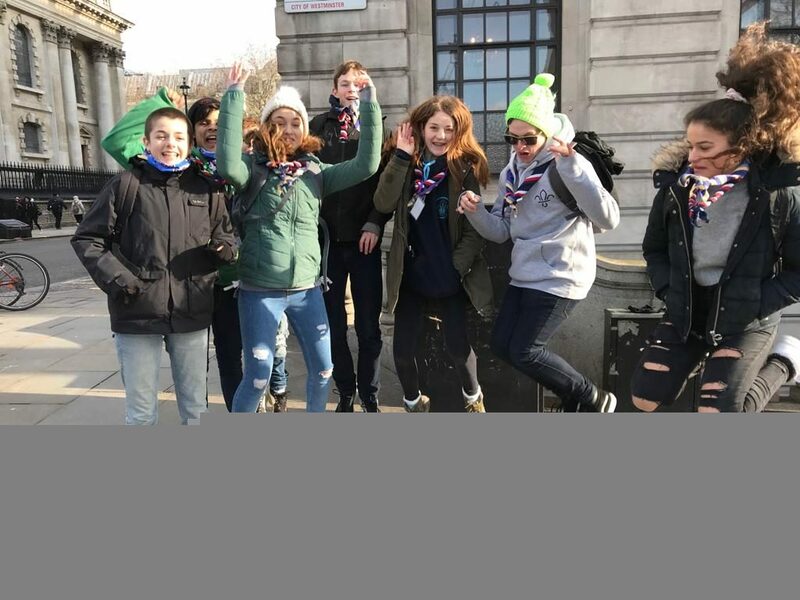 The best patrol feels like the day was really fun and engaging and great for building team relationships. We especially enjoyed the challenges set by the leaders to create more rivalry between the teams. This encouraged us to work harder and bond more. As a part of our day, we wanted to make sure we got to as many places as possible but concentrate on the challenges set by the leaders. We made our way on the tube mostly but to make sure we got the most steps, we went up and down as many stairs as possible! While running around, we got some amazing photos and found out a lot about each other which made the day that more enjoyable. Our break for lunch was interrupted by hundreds of pigeons trying to grab a little more of our McDonalds meal. By the end of the day, we were exhausted but still in one piece! To top of this great day, we found out we came first even though we had been trailing Canyon for nearly the entire day! 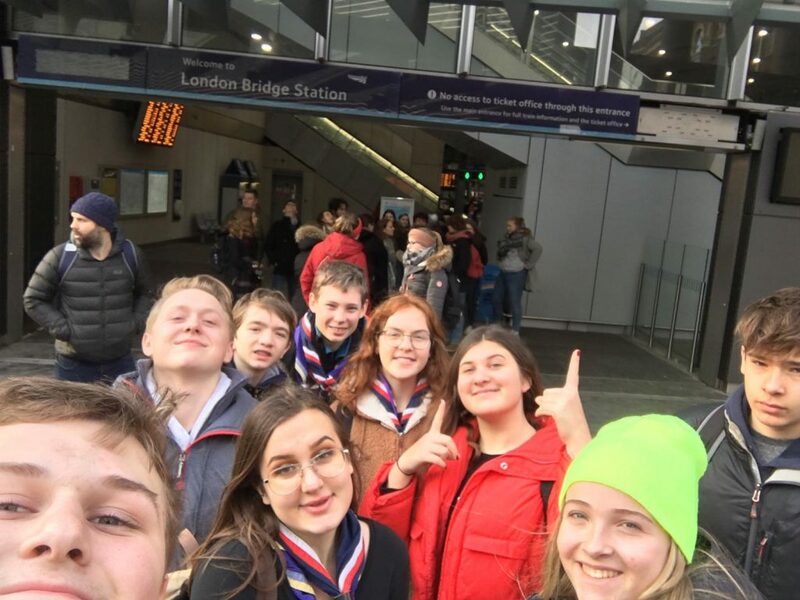 We learnt a lot about how to work together and navigate such a vast and complicated city, which will help us while on the Jamboree. All and all we had an amazing day filled with excitement, food and exploration. We are really looking forward to our next meet up where we can continue our time together. Once again, we want to say thank you to our amazing leaders: Vicki, Sean, Ann and Simon for putting together the day and making sure we were always okay!